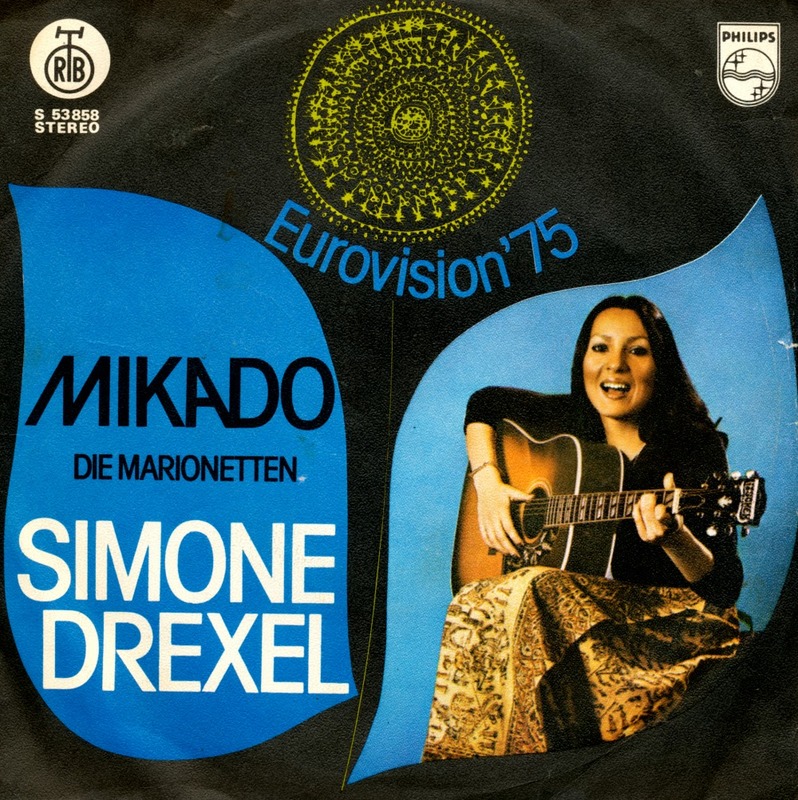 Simone Drexel was born in St. Gallen, Switzerland on May 13, 1957. In 1975, she represented Switzerland on the Eurovision Song Contest with her self-penned song 'Mikado'. At the close of voting, it had received 77 points, placing 6th in a field of 19 competitors.What's interesting about this single is that it's a Yugoslavian pressing, complete with a very colourful sleeve. In 1984, following the birth of her daughter, Drexel retired from the music industry and a year later she started working in transfusion medicine. In recent years Drexel has returned to the music industry as a music teacher, she is also the lead singer of the group Bluesonix.